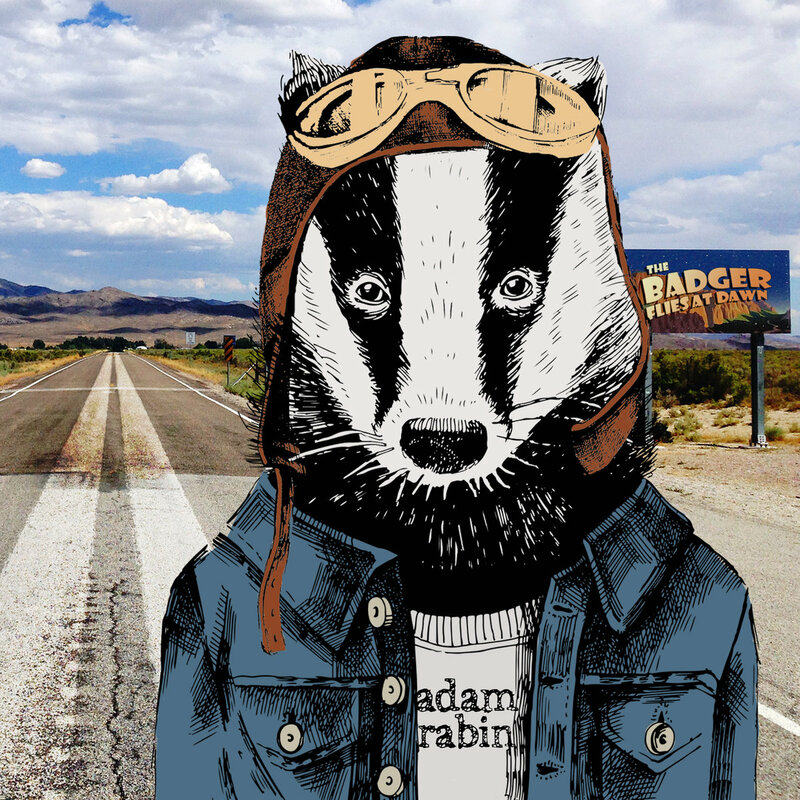 After three well-regarded albums with prog rockers Elephants of Scotland, Adam Rabin is stepping out to release his first solo album this fall, The Badger Flies at Dawn. Over a year in production, this new collection features songs both intended for a new EoS album as well as some specifically written as solo works. Save for one guitar solo by EoS bandmate Bob Gagnon, Rabin plays all of the instruments himself. The album, free of the rock band conventions, explores different arrangements and styles – Middle Eastern, acoustic, orchestral, and even a jazz standard-like ballad. Rabin and long-time collaborator Greg Skillman keep the lyrics relatable – not so esoteric or mysterious. The lyrics center around the trials and sacrifices required in claiming, or re-claiming, one’s own identity. With the opening track, “Mistakes,” the singer comes to terms with his own failings and accepts that ultimately there is no such thing as a real mistake. In several of the other songs like the title track and “Trains That Never Come,” the fight for one’s self often involves leaving something behind and moving on. “The Badger Flies at Dawn” is also available on all the big streaming services.